df = fndir(f,y) is the ppform of the directional derivative, of the function f in f, in the direction of the (column-)vector y. 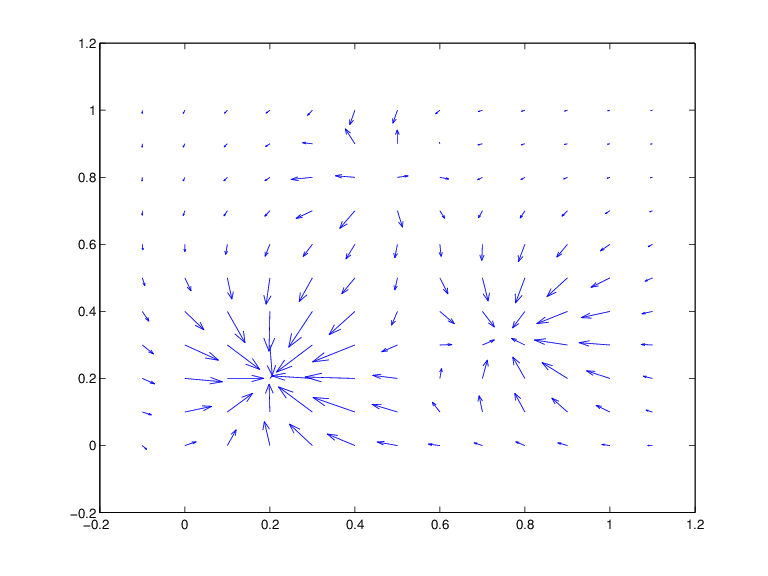 This means that df describes the function Dyf(x):=limt→0(f(x+ty)−f(x))/t. Since fndir relies on the ppform of the function in f, it does not work for rational functions nor for functions in stform. is the Jacobian of that function at that point (which, for this particular scalar-valued function, is its gradient, and it is zero at the origin). The function in f is converted to ppform, and the directional derivative of its polynomial pieces is computed formally and in one vector operation, and put together again to form the ppform of the directional derivative of the function in f.